The closure of roads for the San Silvestre test is making life difficult for motorists in the late afternoon of this Friday. It is recalled that the accomplishment of the mythical race obliges to several constraints in the traffic, in the downtown of Funchal. From the outset, with the interruption, between 17h30 and 21h00 on Av. Sá Carneiro, between Rotunda Harvey Foster and Rotunda Sá Carneiro. From 18h15 this interruption extends to the Rotunda Sá Carneiro, Av. Do Mar and the Madeiran Communities and Praça da Autonomia, a tunnel south of the roundabout La Vie, Rua Conselheiro José Silvestre Ribeiro, a section south of Av. Arriaga, Largo of the Varadouros and Av. Arriaga (south). Likewise, ‘normality’ will only be reported by 9:00 p.m. 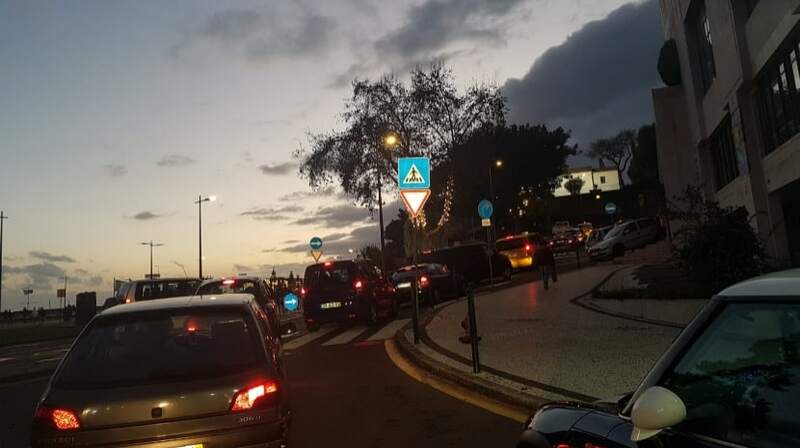 Regarding interruptions, there is still to be registered between 20:00 and 21:00, in the following arteries: Conselheiro José Silvestre Ribeiro Street, Lvens Street, São Francisco Street, Aljube Street, Dr. Fernão Ornelas Street, Visconde do Anadia Street (south of Campo do Barca Bridge), Av. do Mar and Madeiran Communities, between Praça da Autonomia and Rua José da Silva Saca, Rua Artur Sousa Pinga, Rua José da Silva Saca, Rua D. Carlos L Travessa João Caetano, Rua dos Barreiros, Rua dos Prophets, Rua do Oudinot, Rua João de Deus, Rua do Bom Jesus, Rua Marquês do Funchal, Praça do Município, Av. Zarco, Rua do Castanheiro, Rua dos Ferreiros Francisco Franco Sculptor), Rua 5 de Outubro (South of Ponte de Santa Emilia), Alferes Veiga Pestana Street South of Via 25 de Abril, Rua da Conceição and Travessa do Nogueira.